The implementation of GST has left a significant impact on both the residential and commercial real estate sectors. Let alone the capital market, the rental market, too, is not spared of the tax levy. For instance, the rental income generated from commercial units attracts GST. Here are certain other provisions and exemptions of the new tax regime in relation to the Rental Properties. The Implementation of Goods and Services Tax (GST) has overhauled the traditional approach of collecting taxes in india. While the tax on purchasing real estate is much talked about, there is little clarity regarding the implication of GST on rented properties. The unified tax regime impacts the rental properties significantly since it is levied on the income generated from such properties. Let’s discuss about the impact of GST on the income generated from commercial and residential properties in India. Before the implementation of GST, a property owner had to register for paying the service tax if the annual income from all the rented properties exceeded RS 10 lakh. This was strictly applicable to commercial properties, and residential properties used for commercial purpose. If the owner generated a total income from rental units under Rs.10 lakh per annum, they would not have to pay the service tax. Before the roll-out of GST, commercial properties earning over Rs 10 lakh as rent attracted 15 percent service tax. As per the provisions of the GST Act, renting out of a commercial property or a property used for commercial purpose would be considered as a supply of services. 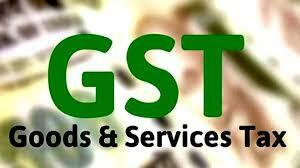 With this, GST will be applicable on a property when it is let out on lease or rent. After the new unified tax system was implemented, the central government has decided to revise the threshold limit of GST applicability on the rental income. With the revision , 18% GST will be levied on properties with annual rental income above RS 20 lakh, as opposed to Rs 10 lakh during the pra-GST era. For instance, if a shop in Anna Nagar is rented out for Rs 1 lakh a month or 12 lakh per annum, then no GST would be applicable on the property owner. Dheeraj verma, a Delhi –based real estate agent, shares. “impact of GST on rental properties is at a nascent stage right now. Increasing the tax applicability limit to Rs 20 lakh per annum was a good move. Most of the shops running in residential colonies benefited from the revision. The impact of GST will be more evident in the case of big corporate or business with a revenue running in lakhs and crores” . In case of residential properties being let out for residential purpose, no GST would be applicable on the generated income. This means, any rental income generated from the residential purposes would be exempted under the ACT. No GST will be levied on the rental income if a property is leased out for charitable and religious purposes. வீடு வாங்கும் முன் கவனிக்க வேண்டியவை!